Now that I have your attention, I have to confess it wasn’t actually with him so much as provided (and cooked!) by him at Bouley Test Kitchen. 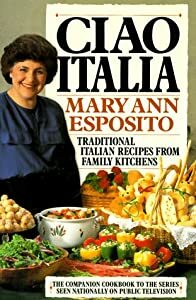 And it wasn’t just for me, but for a group of food journalists who had gathered for a tasting of three Italian cheeses and two prosciutti, all arranged by an Italian food consortium called Legends from Europe. 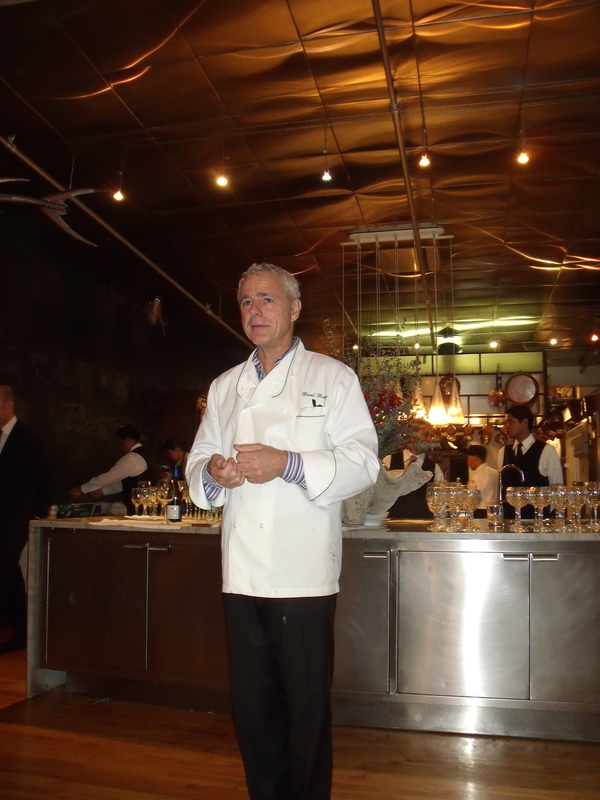 But Chef Bouley did address our group, as proud as any papa about his baby, the Test Kitchen, which is a pretty cool space where visiting chefs give demos and classes, and which can be rented for private events. It was, for example, the host site to the Bocuse d’Or training earlier this year. For a bonus they threw in melon soup with ricotta ice cream as a palate cleanser after the sardine. Two of my favorite edibles in the world are eggs – especially soft-cooked – and fresh sardines, so it was pure bliss. These are fairly unusual choices for a group meal, even for a group of food professionals. Gosh, how I do love my job. Speaking of loving your job: Congrats to Lisanne Finston, director of Elijah’s Promise in New Brunswick, who is one of ten recipients of the 2011 Robert Wood Johnson Foundation Community Health Leaders Award. This national award honors exceptional people who tackle challenging health and health care problems in their communities. Elijah’s Promise is a remarkably effective soup kitchen, plus a foodservice training facility for clients of the soup kitchen (called Promise Jobs), and a community restaurant (a la Jon Bon Jovi’s Soul Kitchen) named A Better World Cafe in Highland Park. And finally today: this one’s for Nirit, who when she read my post about Fakesgiving – which my family celebrated in October because one of my daughters was off to Sri Lanka for a wedding over Thanksgiving – asked if I would post a photo of Alice in a sari. 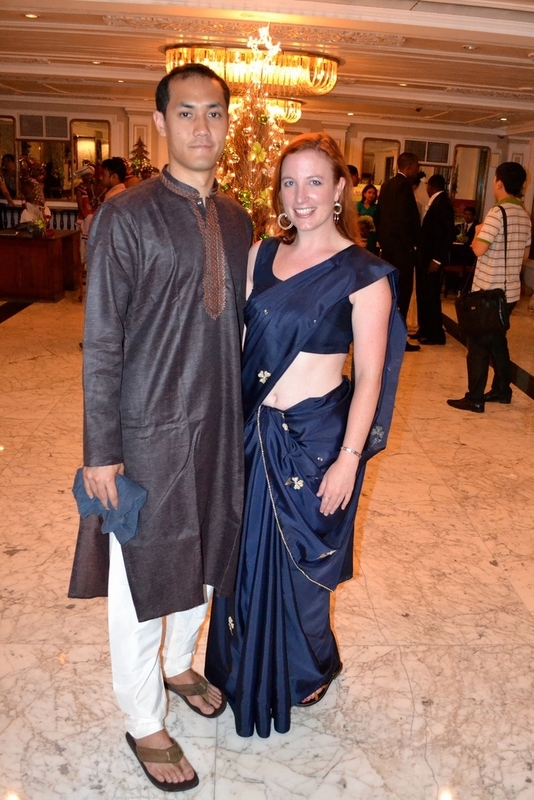 Well, Nirit, here she is in all her glory, accompanied by her boyfriend Chris, who’s wearing a kurta. This entry was posted in Events, Favorite Finds, Restaurants and tagged A Better World Cafe, Bouley Test Kitchen, Ciao Italia, David Bouley, Elijah's Promise, Lisanne Finston, Mary Ann Esposito, Montasio, Robert Wood Johnson Foundation Award. Bookmark the permalink. Oh Pat…your “date’ with David sounded divine! 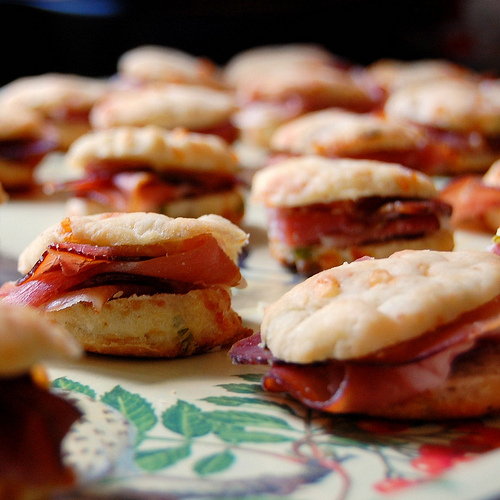 I love the idea of a test kitchen…LOVE IT. Alice is beautiful and that is one lovely Sari ! ! ! Thank you for bringing awareness of all these great food venues!